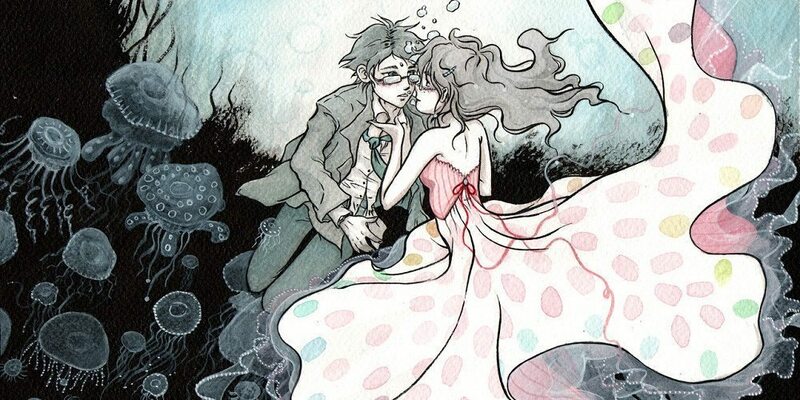 Ever since her late mother took her to an aquarium when she was young, Tsukimi Kurashita has been obsessed with jellyfish, comparing their flowing tentacles to a princess’s white dress. Now living with five other unemployed otaku women, 19-year-old Tsukimi spends her days as a social outcast dreaming of becoming an illustrator. However, her life changes forever when one day, a beautiful woman unexpectedly helps her save a jellyfish in a local pet store. From then on, the stranger—confident, fashionable, and the complete opposite of Tsukimi and her roommates—begins to regularly visit the girls’ building. This trendy hipster, though appearing shallow at first, harbors some secrets of her own, starting with the fact that “she” isn’t really a girl at all, but a wealthy male college student named Kuranosuke Koibuchi!